Novo Nordisk decided to initiate a global Phase III trial, named PIONEER, to evaluate the efficacy and safety of OG217SC, a once-daily oral formulation of semaglutide, in 8,000 people with type 2 diabetes. The drug is said to be one of the company’s most promising candidates. Semaglutide is a follow-up to Victoza/Saxenda (liraglutide). The GLP-1 affinity of semaglutide was 3-fold decreased compared to liraglutide, whereas the albumin affinity was increased. An increased affinity to albumin could extend the circulating half-life. Novo Nordisk originally developed semaglutide as a once-weekly injectable therapy. The first phase IIIa trial (SUSTAIN1) demonstrated that 1.0 mg semaglutide led to a HbA1c reduction of 1.9% and a weight loss of 4.6 kg. If the injectable version is approved, it will have to compete with other long-acting GLP-1 products (e.g., Bydureon, albiglutide, dulaglutide) on the market. Novo Nordisk has partnered with two biotech companies, Emisphere Technologies (EMIS) and Merrion Pharmaceuticals (MERR), to overcome the barriers to oral GLP-1 and insulin delivery. Emisphere’s Eligen technology uses SNAC (salcaprozate sodium) as an oral absorption promoter. This technology was originally used for oral delivery of insulin. In October 2006, Emisphere announced the Phase II results of their oral insulin tablet. Eligen insulin plus metformin failed to achieve significant superior glycemic control over metformin alone. Merrion’s GIPET technology consists of enteric-coated tablets targeting the duodenum, with peptide and absorption enhancers (medium-chain fatty acid) inside. Novo Nordisk’s decision to advance oral semaglutide into Phase III trial follows positive Phase II proof of concept results. 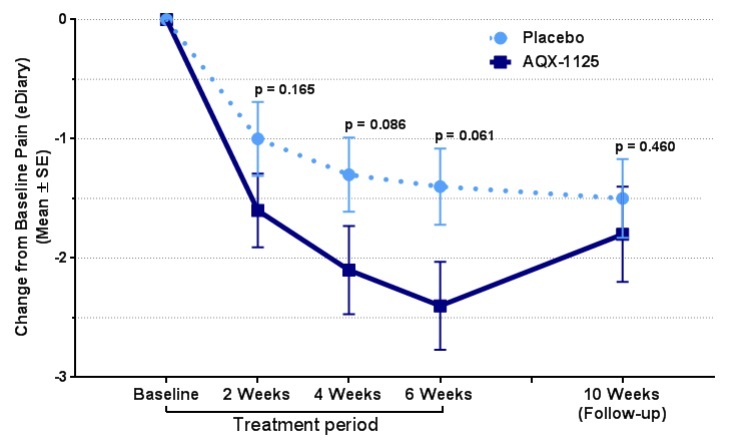 Patients treated with oral semaglutide in five different doses ranging from 2.5 mg to 40 mg once daily achieved dose-dependent reduction in HbA1c of 0.7% to 1.9% after 26 weeks. The first phase III trial is designed to compare semaglutide at three doses (3mg, 7mg and 14mg) with sitagliptin. The trial will start in 2016Q1. Victoza/Saxenda (liraglutide) is the best-in-class once-daily GLP-1. This product is forecast to reach $4.4 billion peak sales. OG217SC could be the first of oral GLP-1, which means the drug could change the GLP-1 market. The dosage of oral semaglutide is 100 fold higher than the injectable version. So the oral GLP-1 will cost much more than injectable GLP-1 and other oral therapies. The advantages of once-daily oral GLP-1 over once-weekly injectable GLP-1 may not be very significant. Oramed Pharmaceuticals (NASDAQ: ORMP) is developing oral insulin ORMD-0801 and oral GLP-1 ORMD-0901. The company also uses SNAC as an oral absorption promoter, but I doubt Oramed would ever initiate a Phase III trial. J Med Chem. 2015, doi: 10.1021/acs.jmedchem.5b00726. Checkmate Pharmaceuticals raised $20 million Series A financing from Sofinnova Ventures and venBio. The company has licensed a virus-like particle platform including a clinical TLR9 agonist known as CYT003 from Cytos Biotechnology. It was a failed bid to replace CG (Chris Garabedian) and become CEO. Board stuck with CG. AK (Arthur Krieg) then immediately terminated. CYT003 is an immune modulator derived from CpG oligonucleotides. Krieg demonstrated that the CpG motifs in bacterial DNA was responsible for B-cell activation in 1995. He led the R&D of agatolimod (PF-3512676, CPG 7909), a TLR9 agonist. However, Pfizer discontinued the Phase III trials of agatolimod in NSCLC and melanoma due to a lack of clinical efficacy. Cytos has tested CYT003 in hundreds of asthma patients, and it failed to demonstrate clinical efficacy. Krieg believes the drug will enhance the efficacy of checkpoint inhibitors. Checkpoint inhibitors have shown remarkable results in cancers, but they work for only a limited number of patients (about 20%). Why do so few patients respond to checkpoint inhibitors? In a patient whose immune system is already activated and poised to kill their tumor, treatment with a checkpoint inhibitor can free the immune system to destroy the tumor. Unfortunately, most patients’ immune systems are not already activated so treatment with a checkpoint inhibitor does not provide any therapeutic benefit and may actually worsen the patient’s condition by causing significant toxicity. Checkmate believes that there is tremendous promise to the combination of CpG DNA and checkpoint inhibitors. CpG DNA activates the anti-tumor T cells, while checkpoint inhibitors block immunoinhibitory signals. Dynavax Technologies (NASDAQ: DVAX) is combining its TLR9 agonist SD-101 with Merck’s pembrolizumab in Phase I/II trials. In a 21-patient phase I study of tremelimumab plus PF-3512676, two melanoma patients achieved durable partial response. J Clin Oncol. 2011, 29(19), 2667-2674. Br J Cancer. 2013, 108(10), 1998-2004.